During the day, goats' pupils narrow to almost rectangular, horizontal slits. This is used to protect their eyes from too much sunlight. With their broad pupils they have a wide field of view of 320-340 degrees and can promptly recognize enemies like wolves. 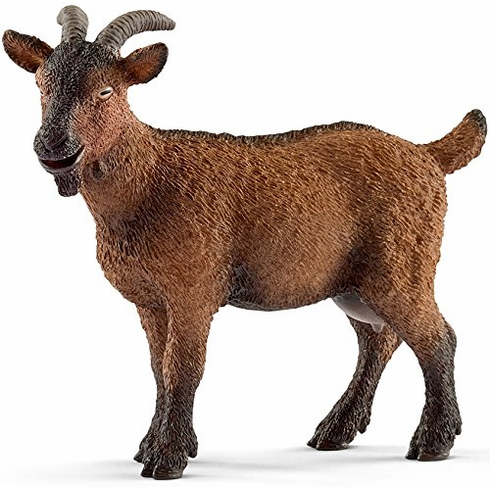 This Goat measures approximately 2.8 inches tall.